The CS 3600’s unique continuous scanning capabilities significantly reduce the time it takes to acquire a scan. Your patients spend less time in the chair while you easily acquire all the essential data you need to create an impression in record time. 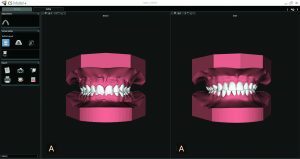 We didn’t just improve the manual process for analyzing models and creating orthodontic setups—we reinvented it. 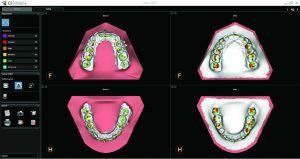 Now, with CS Model+, you have a faster more intuitive solution, one that enables you to evaluate your digital models and create virtual orthodontic setups in minutes. Besides the time savings, you’ll boost case acceptance, because your patients can better understand their treatment and more effectively visualize potential outcomes. At your practice, every second counts. Every extra step during dental imaging is a distraction from your daily work. When digital scanning is made simple and easy, you have more time for treatment planning and diagnosis and, more importantly, time to focus on what really matters—treating your patients. The CS3600 Intra Oral scanner transforms your practice, helping you and your patients move quickly and comfortably from exam to treatment. With two great scanners, you can now find a solution that meets your exact needs for fast, easy and accurate digital imaging. 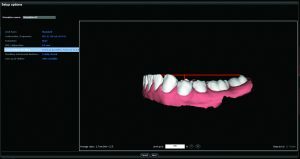 Within one minute, CS Model+ automatically detects, segments and numbers the teeth. 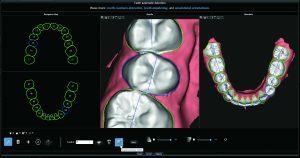 The software also allows you to indicate points of interest, such as implants, erupting, supernumerary or missing teeth. 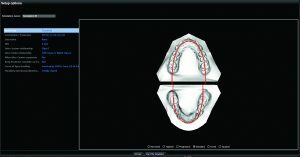 Perform treatment simulations using various arch forms, contraction, expansion and translation on the maxillary and mandibular arches. Simulate the leveling of the Curve of Spee, and choose from entering specific values, automatically flattening or leaving as is during the setup simulation. 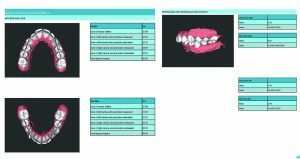 Complete the treatment setup and create a simulated movie that helps you present treatment goals to your patients. Review the occlusion mapping and the simulated treatment outcome side-by-side. Generate automatic customizable reports, including the Bolton discrepancy analysis, PAR index, ABO discrepancy index and more.